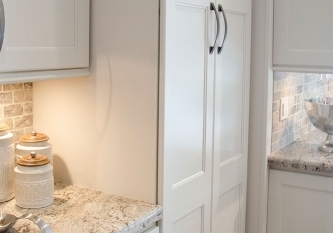 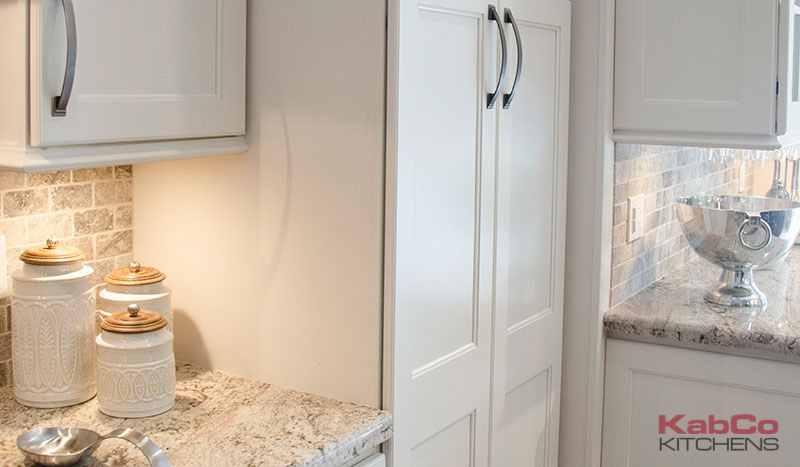 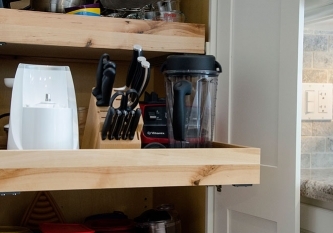 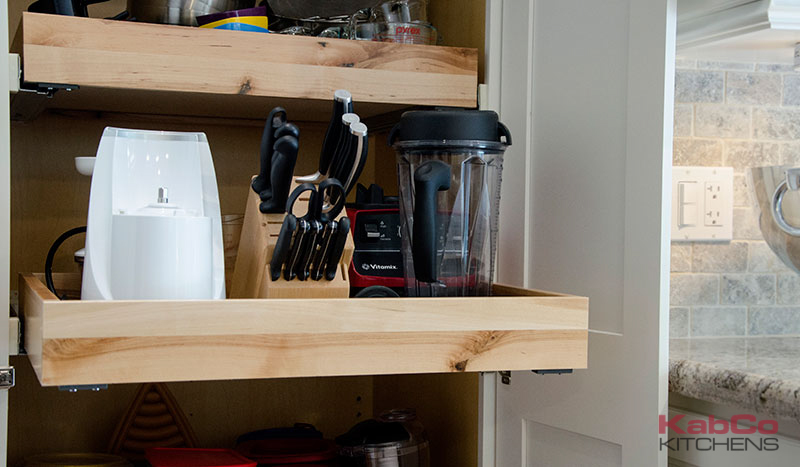 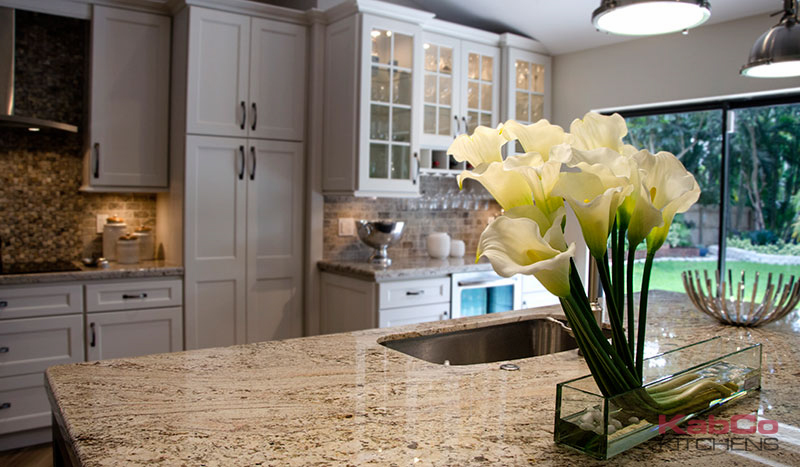 To the homeowners delight, custom built cabinets were designed and installed drastically changing the functionality and aesthetics of this kitchen. 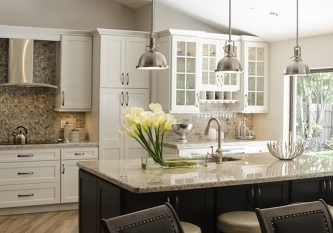 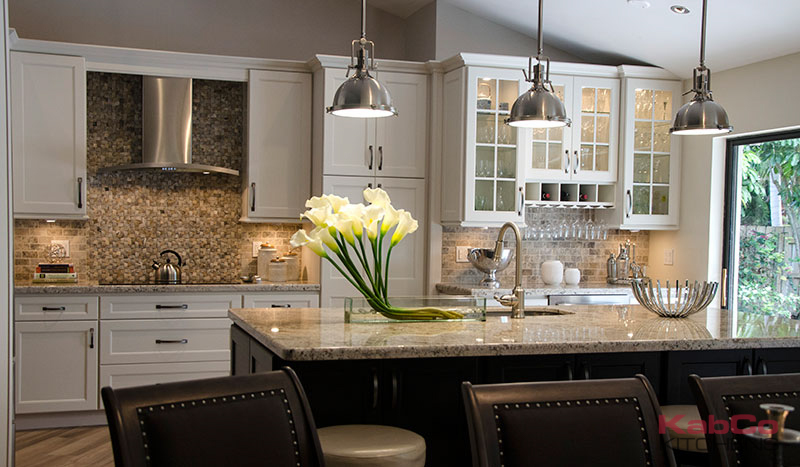 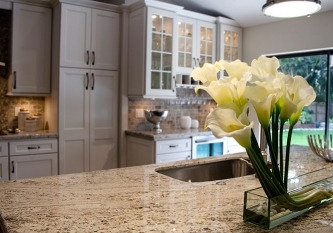 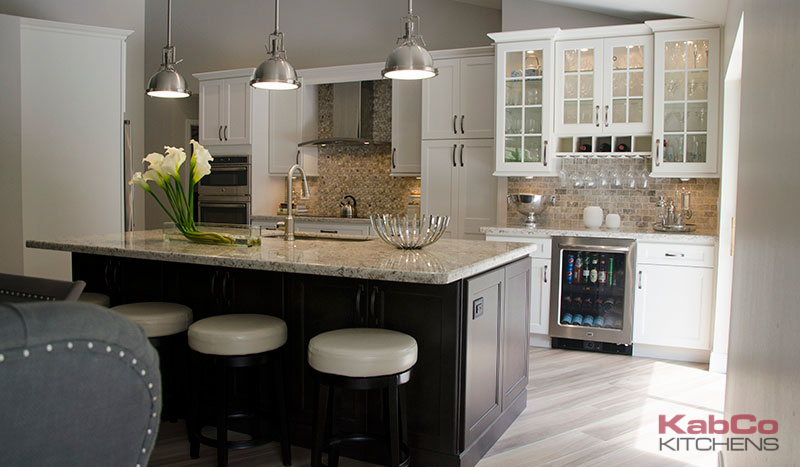 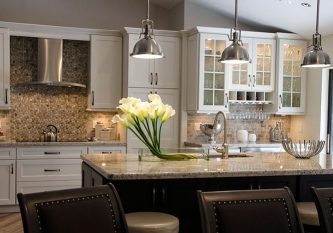 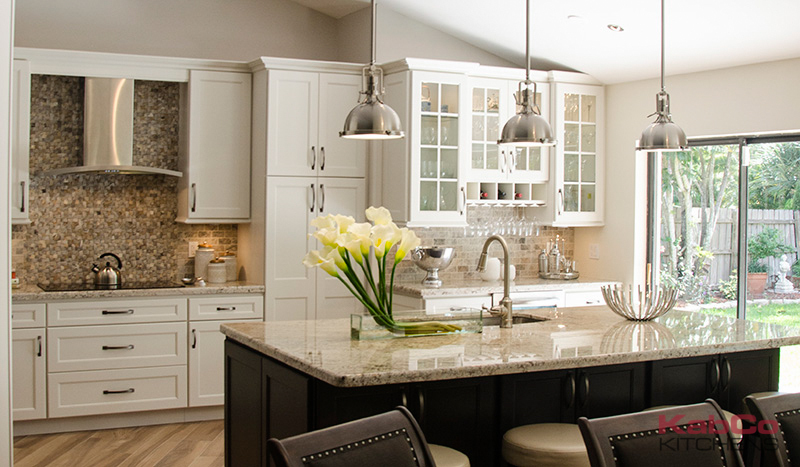 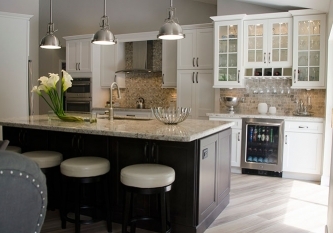 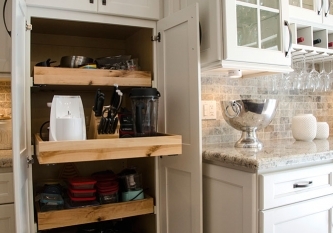 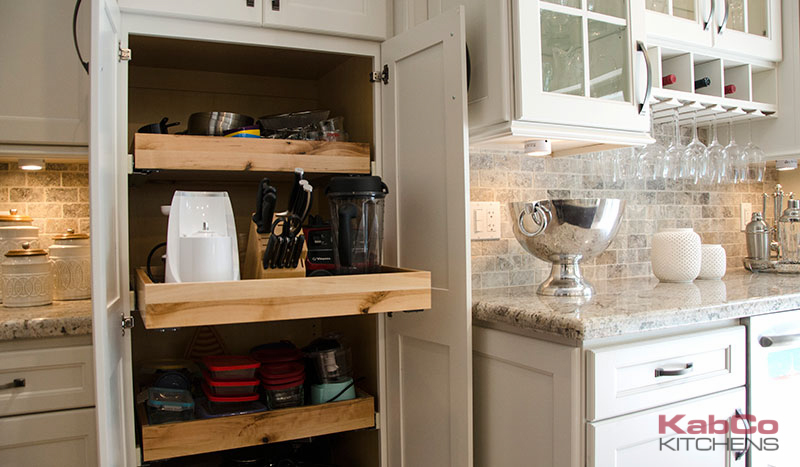 Maple Vanilla kitchen cabinets 42″ tall were combined with a Maple Buckboard cabinets for the island. 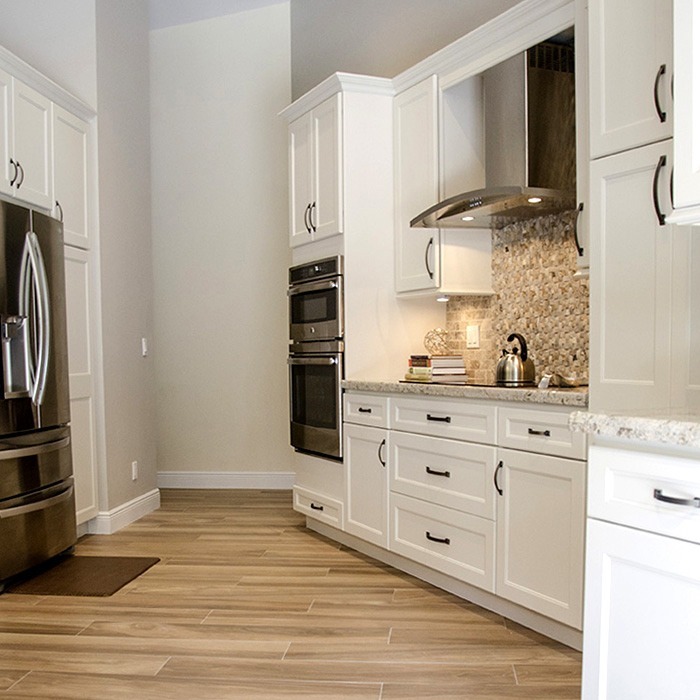 These warm finishes were tied together with the distinct wood like porcelain tile floors. 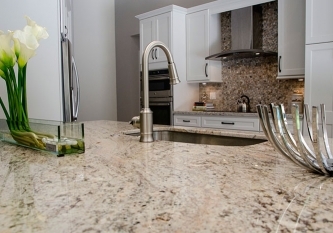 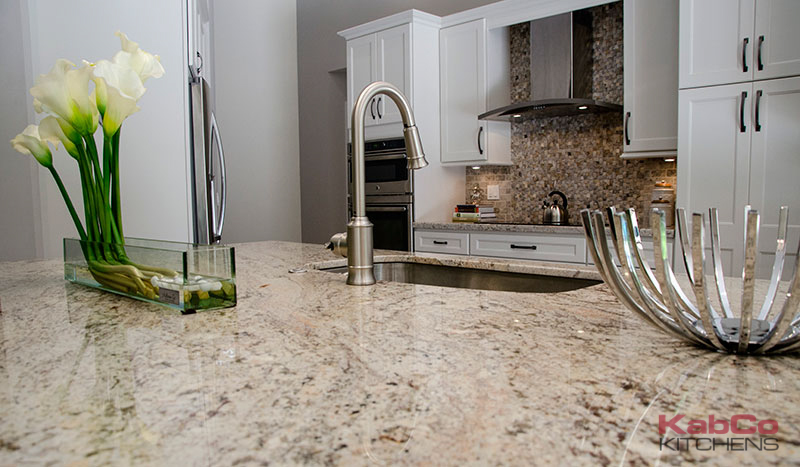 Stainless steel fixtures and appliances give this design a modern touch, while Delicatus granite counters keep it timeless and elegant. 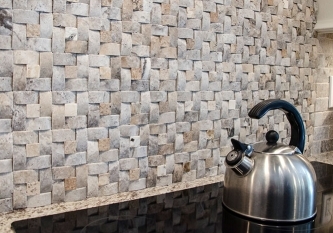 Subway tile was used as a backsplash. 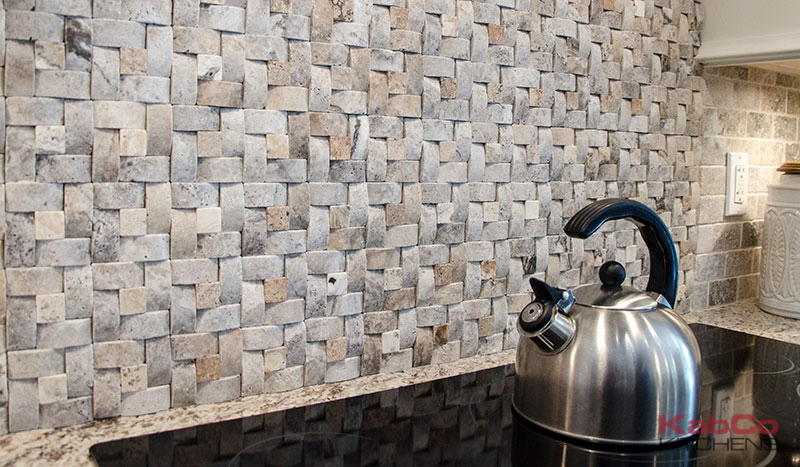 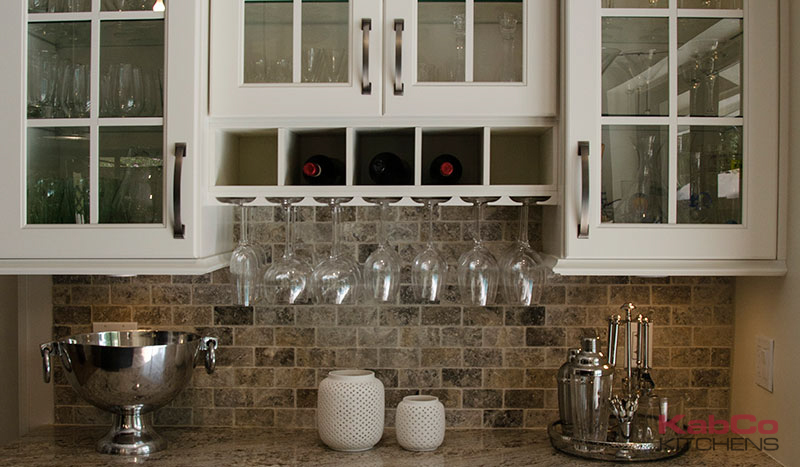 Behind the cooktop, an accented pinwheel tile was installed to add character and charm. 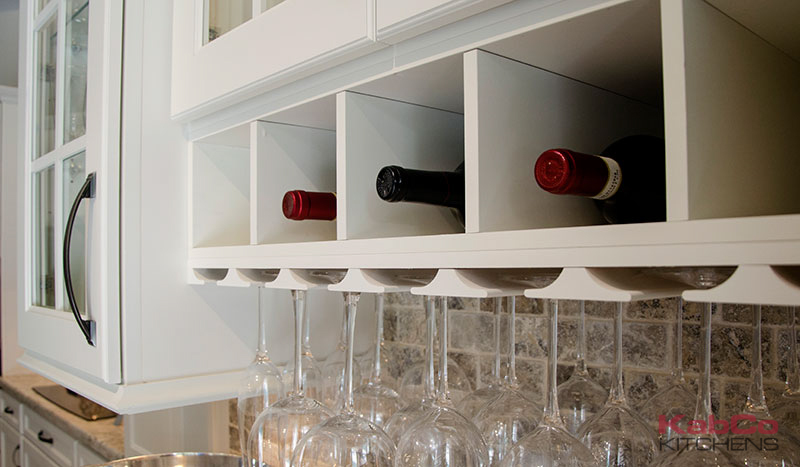 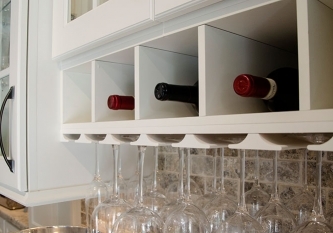 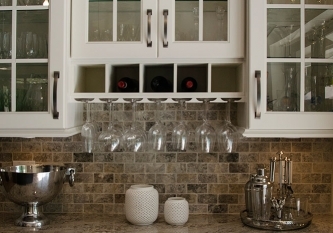 A home bar was also incorporated into this space for easy entertaning. 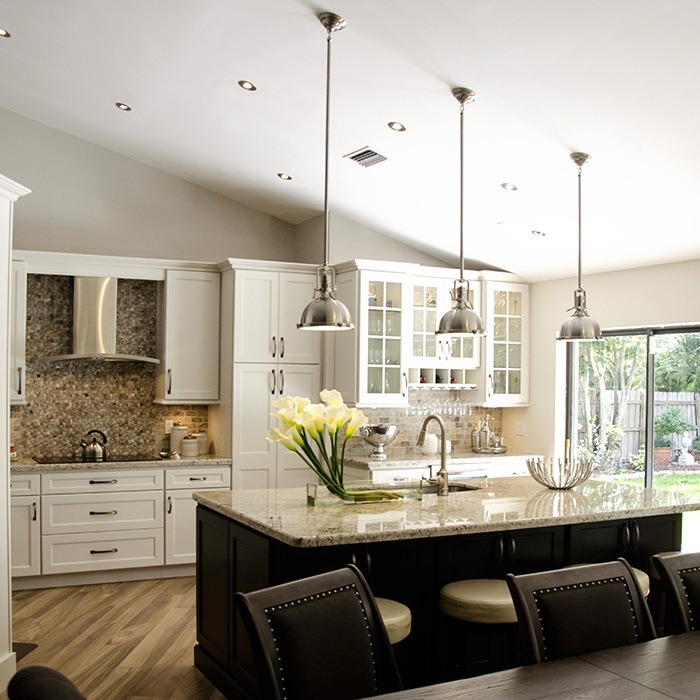 Three industrial pendants were hung accenting the sloped ceiling. 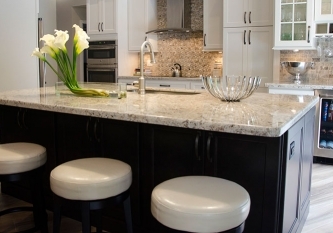 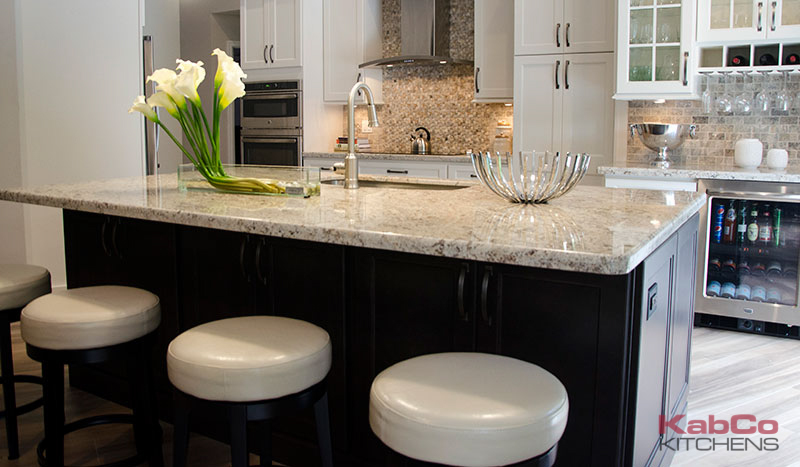 The new extended island now offers extra seating and ample counter space.